It can be difficult to find yourself in Venice without your USB cable or phone charger, just plain annoying to discover that your rental apartment didn't come with dish towels, or, maybe you're moving all the way in! 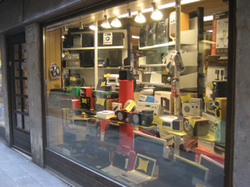 These are the stores in Venice that you should go to if you need anything in the realm of personal electronics, home goods or hardware in Venice. Caputo, San Marco, On Calle Fava, Near Campo San Lio. Caputo is the best stocked personal electronics store in Venice. This cluttered looking little shop sells everything you could possibly need for your personal or portable electronics. Need a memory card for you digital camera? Forgot the charger for your P.C.? Caputo is the place to go. Ratti, 5824 Castello, On Salizada San Lio. 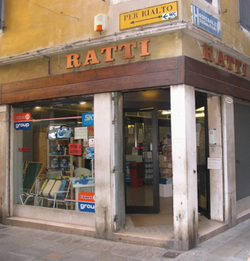 Ratti is the largest hardware store in Venice. Go there for outlet converters, kitchen wares, home goods, tools or even appliances if you're moving in! The personal electronics section is on the second floor.